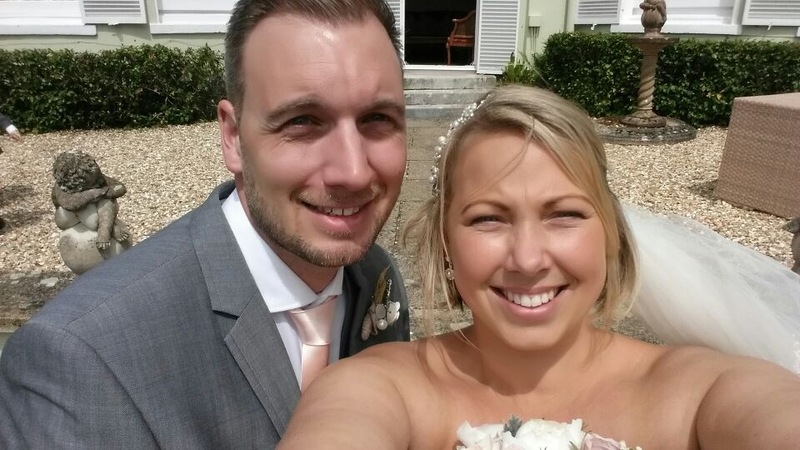 If you’re due to be attending a wedding this summer, either as a bride or groom, guest, member of the bridal party, or supplier, we’d like to see your wedding selfies! 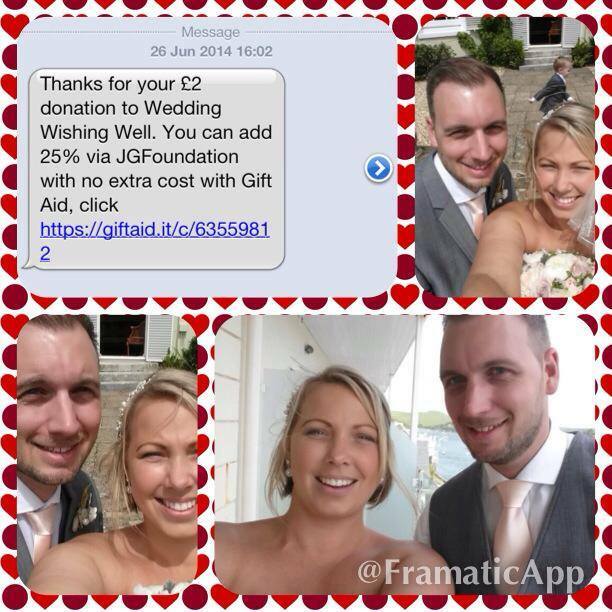 By sending a selfie and donating just £2 to The Wedding Wishing Well Foundation you can help another couple’s wedding dreams to come true – it really is that simple. As an extra incentive, Johnsons the Cleaners are offering one lucky winner the chance to receive £150 worth of dry cleaning vouchers – that’ll certainly help towards the cost of cleaning your wedding outfit afterwards! To donate, please text ‘WISH09 £2′ to 70070. Pictures can be shared via Instagram, Facebook, and Twitter using the hashtag #wedwishselfie. Those who use the hashtag will be entered into Johnsons’ competition – you have to be in it to win it! 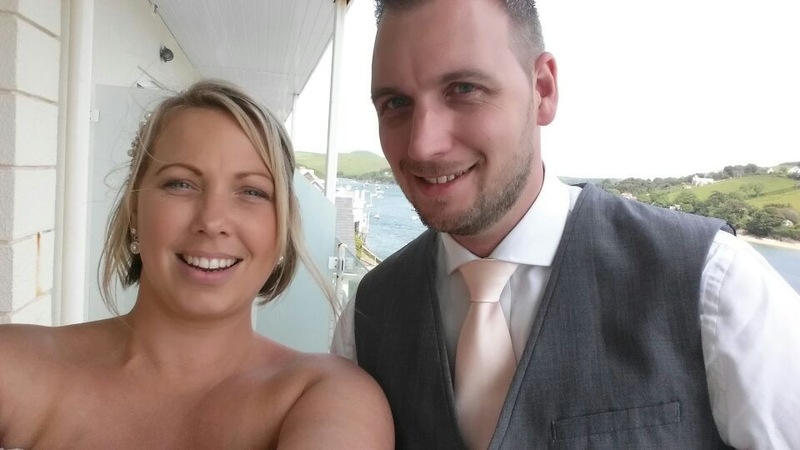 Here are a few selfies that we’ve received so far – gorgeous! At the end of May we were thrilled to announce that our very own Naomi had made the Independent on Sunday’s Happy List – a collection of those who inspire, amaze, and spread a little happiness each and every single day. While it was no surprise to us that Naomi had made the list, it is fantastic to have such a prestigious publication recognise the work that she does – and we couldn’t be prouder! 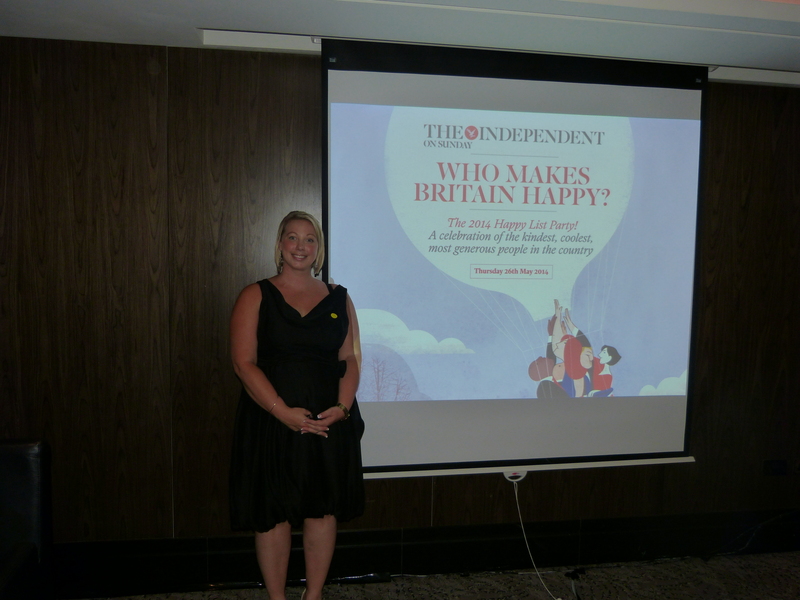 The 26th June 2014 saw an event hosted in honour of each and every person named on the Happy List, and Naomi travelled to London with husband Graham to enjoy an evening of networking, bubbly and canapés. Held at Grange St. Paul’s Hotel the evening started dramatically, as the couple’s car broke down en route! 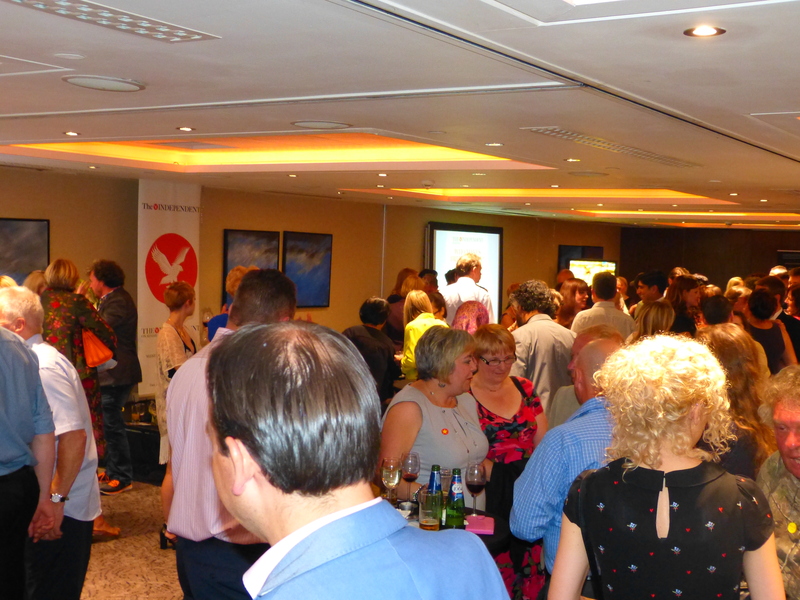 Several hours of networking ensued, as Naomi met some of the other inspirational people on the list. If you’d like to be inspired, a link to the original article can be found here. Prepare to be amazed. As the wedding season enters its peak, the chances are you’ll have been invited to at least one wedding this year, or will be taking part in several upcoming nuptials as a supplier. If so, we want to hear from you – introducing The Wedding Wishing Well Foundation’s ‘Summer of the Wedding Selfie’, launched in collaboration with Johnsons the Cleaners. 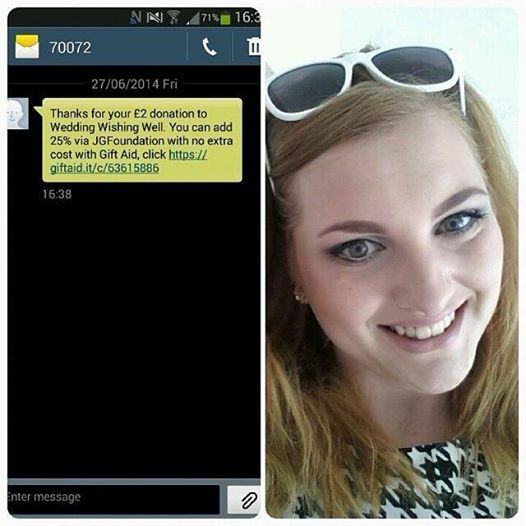 The ‘selfie’ has played a massive role in fundraising circles this year so far. The trend of the ‘No make up selfie’ raised a staggering £8million for Cancer research in just six days back in March, while the more recent ‘Thumbs up for Stephen’ campaign helped the inspirational teenager to raise more than £4million for the Teen Cancer Trust. 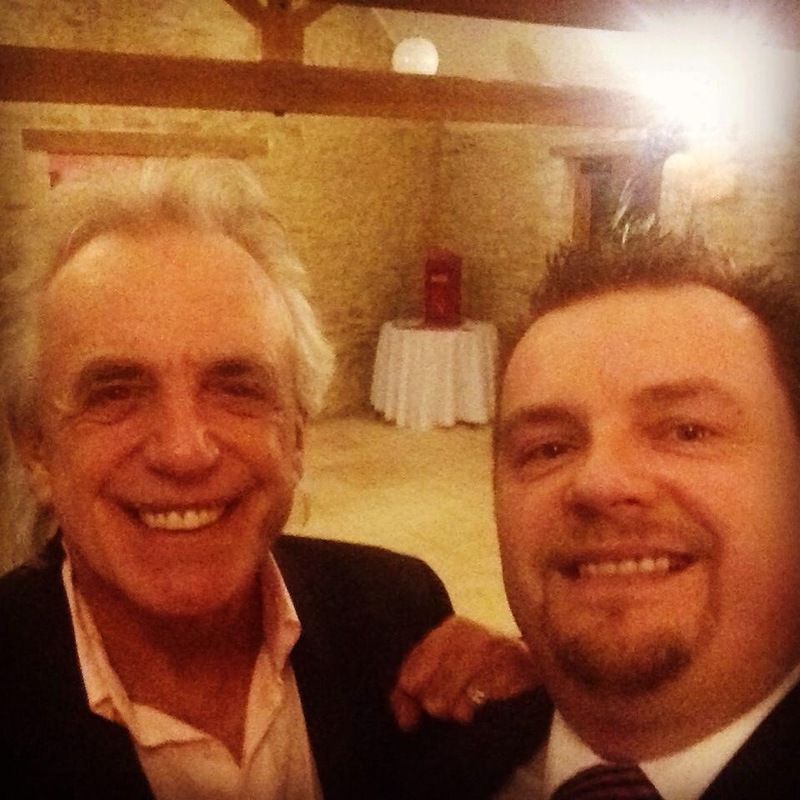 We loved seeing so many selfies raising money for such worthwhile causes, and would like to encourage you all to keep on snapping – say, “Cheese!” Whatever your role in the upcoming nuptials, be it as the bride or groom, as a bridesmaid or groomsman, vicar, guest, or supplier, we can’t wait to see your selfie; the funnier they are, the better! Perhaps you’d like to involve a whole group of people, a la Ellen’s Oscar Selfie, or are a gentleman keen to don a wedding dress of your own; the sky’s the limit! 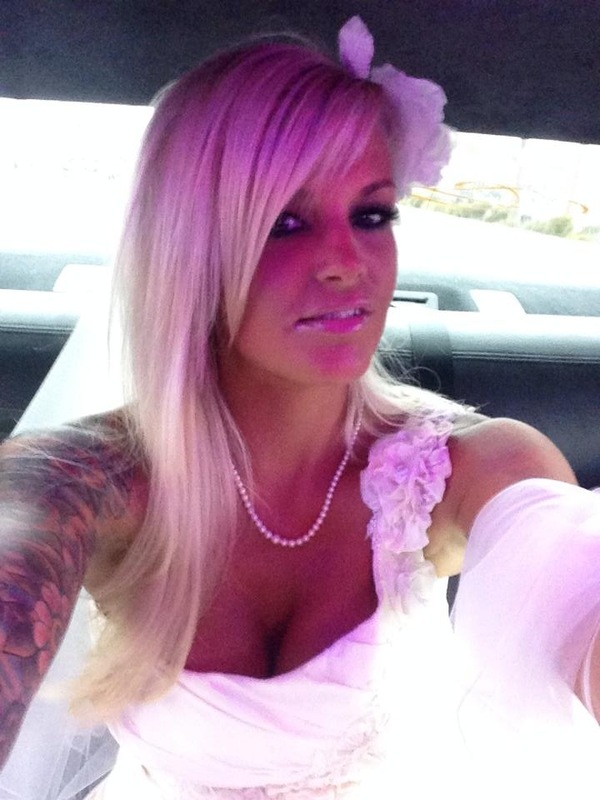 How will my selfie help The Wedding Wishing Well Foundation? 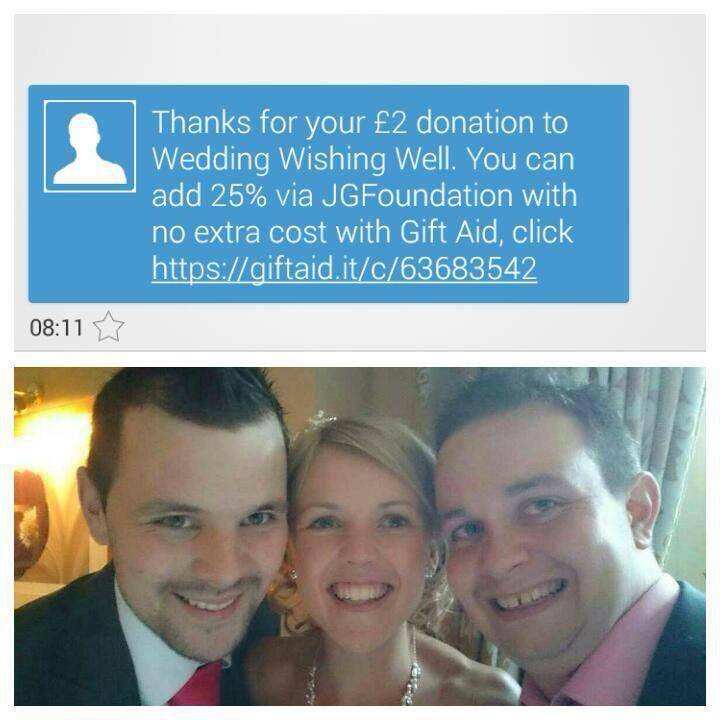 We hope that your Wedding Selfies will help to raise much-needed awareness of The Wedding Wishing Well Foundation; let’s get sharing! We are also asking that you make a small donation of just £2 along with every selfie submitted. 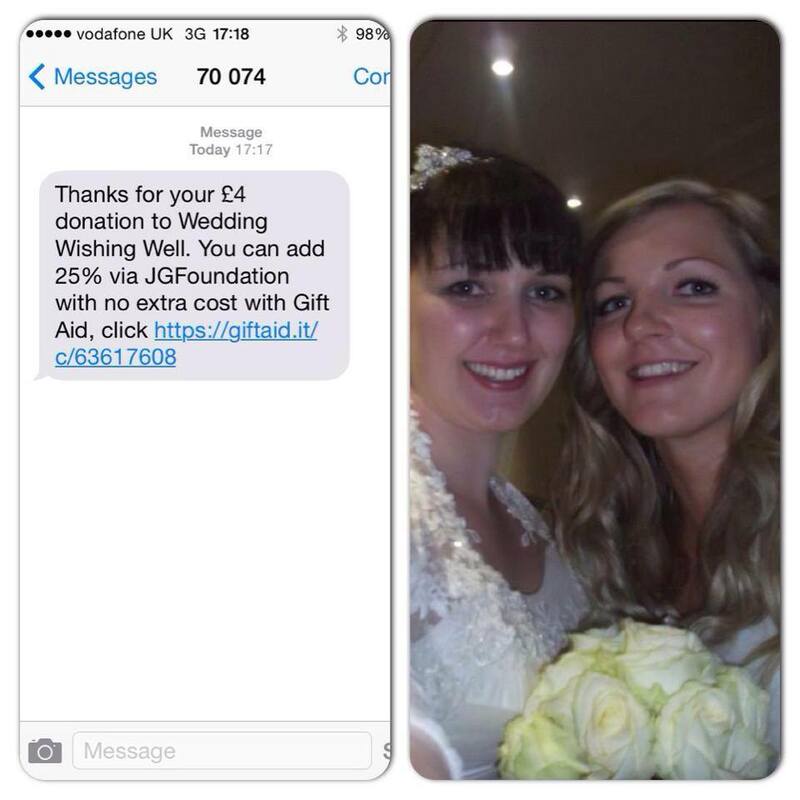 It may not seem much, but can you imagine how much we could raise if every guest at a wedding sent their selfie and donated £2? 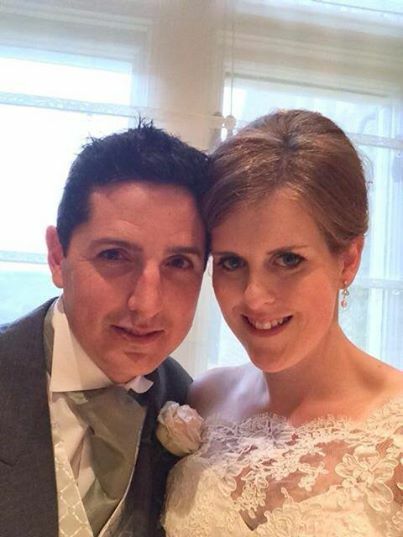 Your donation will help a couple affected by a terminal, or life-limiting, illness to experience the wedding day of their dreams. It really will make all the difference as they start a new chapter of their lives together. 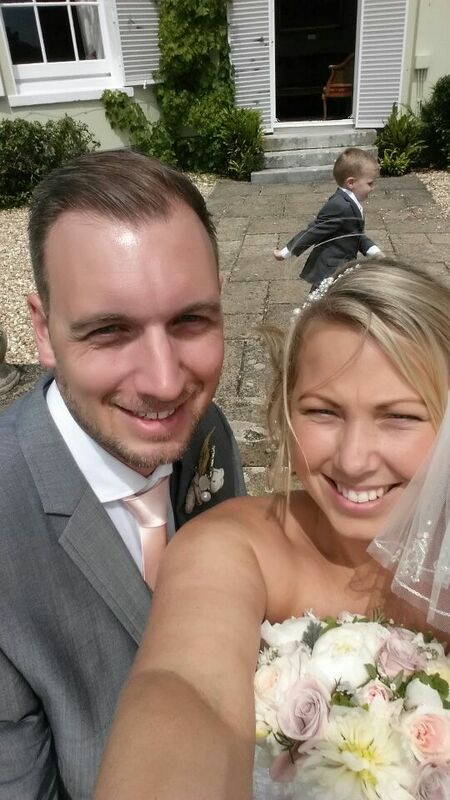 Having recently renewed her wedding vows, our very own Naomi would like to kick start the campaign with her own Wedding Selfie; what a gorgeous couple, and a very cheeky Devon in the background! Feeling inspired yet? Then get out there with your camera and enjoy the day! I’ve taken my selfie – what should I do now? You can send your selfie to The Wedding Wishing Well Foundation via Facebook, Twitter or Instagram using the hashtag #wedwishselfie. To donate, please text ‘WISH09 £2′ to 70070. 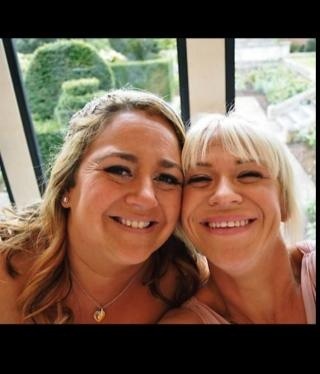 We’d love for the Wedding Selfie to spread far and wide this summer. Once you’ve taken yours, why not share it with Facebook or Twitter to encourage friends, family, or even celebrities to follow suit? We can’t wait to see your pictures! At The Wedding Wishing Well Foundation HQ we are constantly looking for new and exciting ways for our supporters to raise money. Introducing ’24 Hours in the Wild’, one of Adventure 360 UK’s most popular adventure courses. Teaching basic survival skills including shelter building and fire starting, as well as axe and knife work, foraging, stalking animals and trapping, and night navigation, the course is designed to test participants to their limits for 24 hours – there are no home comforts under the stars, so be sure to build a waterproof shelter! 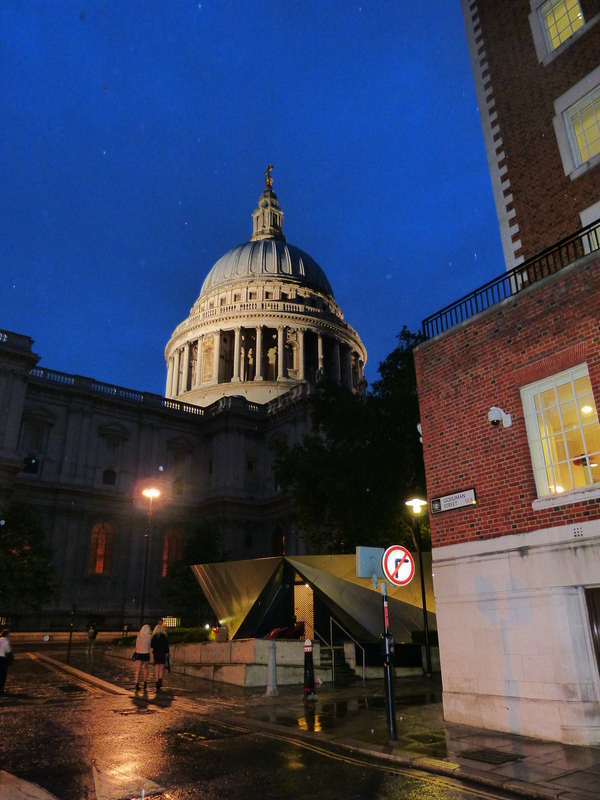 It costs just £125 per person to be enrolled on one of Adventure 360 UK’s ’24 Hours in the Wild’ courses, although this will be refunded should a minimum sponsorship amount of £500 be raised. Participants must raise a minimum of £100 in order to be eligible for the course. For more information please email info@weddingwishingwell.org.uk, or visit Adventure 360 UK’s website. The courses will be taking place between 28th-29th June and 19th-20th July. There are just 12 spaces available on the ’24 Hours in the Wild’ course, so be sure to book on quickly. Following on from the success of the Alcoa in Motion Family Bike Ride, The Wedding Wishing Well Foundation is already looking towards its next cycling adventure – how about a ‘leisurely’ ride from London to Brighton on 7th September?! Participants will start on Clapham Common in South London and travel through Mitcham, Carshalton, Chipstead, Banstead, and Haywards Heath, before finishing a staggering 54 miles later in Brighton. No previous cycle experience is required, although organisers have highly recommended that preparation and training be undertaken. The emphasis of the event is upon taking part and raising money, and we hope that everyone has as much fun as the team did on their recent venture. Registration for the event costs just £35. All participants must pledge to raise at least £100 for their chosen charity, although there is no upper limit! For more information please click here, or email Naomi and the team on info@weddingwishingwell.org.uk. Thank you to the Broad Street Belles and Blokes! We recently received notification that The Wedding Wishing Well Foundation has been chosen as the charity of choice by The Broad Street Belles and Blokes, two fantastic charity calendars featuring the current and ex-staff, regulars and locals of The Squire Inn, Chipping Sodbury. These cheeky calendars do absolute wonders for the charities they support, as well as being a fantastic way of keeping your year in check. We appreciate their pledge of help and can’t wait to see 2015’s offerings! To find out more visit The Broad Street Belles and The Broad Street Blokes Facebook pages. The Squire Inn, Chipping Sodbury. The Wedding Wishing Well Foundation is delighted to have been chosen as the designated charity for this fabulous event, which is being held on Sunday 29th June 2014 between 11am 2pm at 55 Rosebarn Lane, Exeter. Designed to pamper guests in every way possible the event will feature mini facials, mini makeovers, hand treatments, raffles, giveaways, gifts, and discounts, eyebrow and lash demonstrations. This is a fantastic opportunity to be well and truly spoiled while trying out (and perhaps buying) some fantastic organic and cruelty-free products. The first fifteen visitors to the event will receive a free Tropic Goody Bag, as will anyone who places an order on the day, while a free welcome drink and cupcake awaits all guests – you won’t want to miss out! There will be a small entry fee of £3 for the event, which will include entry to the raffle. All proceeds are to be donated to deserving local charity The Wedding Wishing Well Foundation. The event will also feature an auction and sealed bid competition, providing the opportunity to win some amazing prizes. Additional raffle tickets will be priced at just £2 per strip. Please see the event’s Facebook Page for more information, including address details. Organiser Jemma Harrison is currently in search of some fantastic raffle donations. If you have the perfect prize, or would be able to donate a cake or sweet treat for sale on the day, please contact Jemma on 07747848140. There will also be the opportunity to donate your wedding dress, accessories, bridesmaid outfits or other wedding-related items on the day. Simply bring your items along.